Motorola has officially introduced the Atrix HD, an Ice Cream Sandwich-based model geared toward business users. The company unveiled the model, which boasts a 4.5-inch 1280 x 720 HD Colorboost display, a 1.5GHz dual-core processor, LTE, 8 GB of storage and an 8-megapixel camera, as well as Kevlar-clad back side, on its website on Wednesday. The Atrix HD is billed as “business ready” partially because it comes preloaded with Webtop an app that, with an HDMI display and Bluetooth peripherals, can make the phone a PC replacement. Pricing has not yet been set for the model, which will be distributed via AT&T. In targeting business users, Google is no doubt looking for remaining BlackBerry defectors. Android’s share of the overall market topped 50% in the U.S. in April, while BlackBerry’s was 13.4%, a huge drop from the previous year’s 28.9%. Would Your Phone Be More Fun With The Free BuzzFeed Android App? 1. Do you ever find yourself with time to kill? 2. Do you spend a lot of that time playing with your phone? 3. Does your phone have BuzzFeed’s free app on it? If you answered “yes” to the first two questions and “no” to the third, your phone would DEFINITELY be more fun with the BuzzFeed app. So what are you waiting for? Download the free BuzzFeed iOS app and say goodbye to boredom forever! The Samsung Galaxy Camera ($499) is a very successful merger of Android with a point-and-shoot camera. It takes great photos, which you can immediately share online via Android apps. It has Wi-Fi and an optional phone-network connection for uploading wherever you are. The flash pops up via a side button (though it sometimes gets stuck). The white exterior looks great and is fairly resistant to fingerprints. A side grip ensures you can hold the camera firmly. The lens has an optical zoom up to 21x, giving it a tremendous advantage over smartphone cameras. The Galaxy Camera’s screen is essentially the same as the one on the Galaxy S III smartphone — a bright 4.8-inch PenTile LCD. The Samsung Galaxy Camera isn’t the smallest point-and-shoot, but it has a slim design, and will still slip into a pocket (albeit barely). This is the camera screen. Manual controls, settings, your gallery and the Android home screen are all a single tap away. The camera’s home screen works just like a smartphone’s, complete with widgets and folder. The UI for the manual controls is gorgeous. Shutter speed, aperture, exposure and ISO are all controlled via curved sliders. It’s very intuitive. The camera offers several smart modes, which come borrowed from the Galaxy phones, such as Best Face, Continuous Shot and Panorama. If you upload a lot of photos and video, you’ll quickly burn through your data plan quickly. Luckily, the camera lets you view which apps are the biggest data hogs, and you can tell the camera to only upload when the screen is on. You can also set a hard data limit. Like the Galaxy Note II, the Gallery offers some fun options for viewing your photos, such as this helix pattern. The world of 3D printing just got even more accessible. Autodesk’s 123D Catch app (available on the Apple store and for Android phones) allows users to create 3D models out of photographs. It’s pretty simple: The user takes a minimum of 20 photos of a given object, making sure to get it from all sides. The app sort of pieces together the photos to make a three-dimensional composite photograph, which can be uploaded to a corresponding program on your computer. Provided you have the proper equipment, the models can then be 3D printed. Imgur commenters cleverly note that this app is probably going to result in a lot of 3D-printed dicks, and sadly, I don’t think they’re far off. On the other hand, we could potentially create 3D Ryan Gosling models, so it’s not all bad, now, is it? To learn more about the program, including upgrades, uses and more, check out Autodesk’s website. The OUYA game console will get a yearly hardware update and re-release, according comments the company’s founder and CEO made to The Verge this week. “Our plan is to have a yearly refresh of OUYA where we leverage the best-performing chips and take advantage of falling component prices to create the best experience we can at the $99 price point,” Julie Uhrman told The Verge. 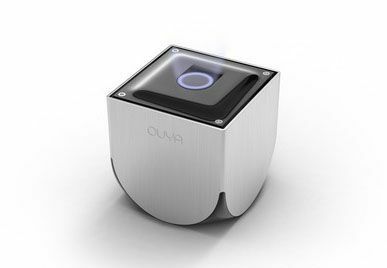 The OUYA is already significant for being a game console launched on Kickstarter; it raised $8.5 million during its 30-day backing period. Although the only people who have received their consoles are developers who put in extra cash to get it early, Uhrman’s promise signifies the company is looking ahead. The console is powered by a NVIDIA Tegra 3 processor, one of the fastest available for mobile hardware. It’s the same processor available in the Nexus 10 tablet. 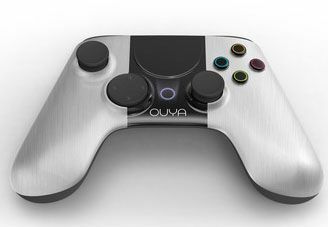 But with the launch of the Tegra 4 at CES last month, mobile hardware will be advancing quickly enough that the OUYA cannot rest on its laurels. Anyone who owns a first generation iPad knows how quickly mobile hardware can be left behind by developers due to being underpowered. And while Uhrman has been quoted in the past as not wanting to compete with big companies such as Sony, Microsoft and Nintendo in the console wars, having a console with yearly hardware updates would add something interesting to the tv-gaming playing field. There hasn’t been a big console refresh in nearly eight years for Sony or Microsoft, and while both companies’ rumored next-gen consoles could graphically squash anything the OUYA could output now, what will that be like in three years when we have much faster mobile processors? But before we put the cart before the horse, OUYA’s Kickstarter backers have to receive the 40,000 consoles they ordered in March. OUYA has also been taking preorders from its site for consoles that will be shipped in April, and Amazon has launched a pre-order page for consoles that will begin arriving in June, according to the company. 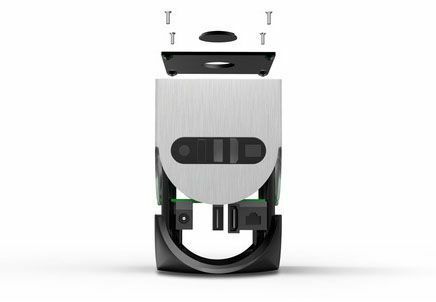 OUYA launched its Kickstarter campaign on July 10. Besides some leaked images from AngelList the week before, it was the first most of the web had heard of the ambitious console. OUYA claimed it would run Android, be completely hackable and only retail for $99. It also incentivized developers by delivering a development SDK in each console for no extra charge. The image to the left was the only rendering released on the first day of the Kickstarter, along with the OUYA’s promotional video. It only showed on half of the console’s controller. Within 24 hours, OUYA had raised $2.6 million, breaking Kickstarter’s previous records for best 24-hour period. OUYA CEO Julie Uhrman answered some of our questions on the console, and responded to many of the concerns of lack of information on the console. Robert Bowling, who recently founded Robotoki after years of supervising the Call of Duty series at Infinity Ward, said would bring prequel games to his recently announced zombie survivor game Human Element exclusively to the OUYA. 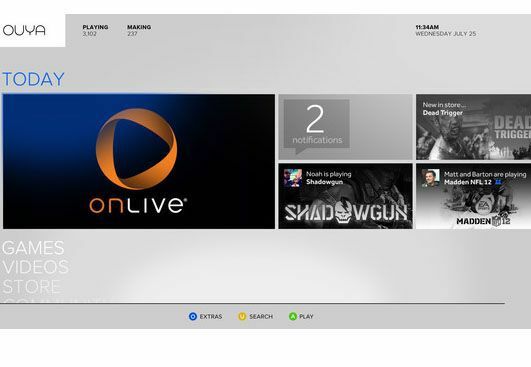 OUYA’s CEO announced that they would partner with OnLIve, a streaming gaming service, to bring all the titles they offered to the OUYA. They also released more renderings of the OUYA and its controller. The OUYA announced they are partnering with Square Enix to bring their games to the console when it comes to market next year. Final Fantasy III will be a launch title. OUYA’s Kickstarter campaign ends, raising more than $8 million from backersi. Although China’s ZTE has held a presence in the United States for years, the brand is still relatively unknown to most American consumers. But with ascendant China continuing to build tech credibility on the world stage, the company believes that now is the time to emerge from obscurity in North America with a new push fronted by two new smartphones. First unveiled at this year’s CES conference in January, ZTE’s Grand S and Nubia 5 Android-based smartphones offered an impressive look at what the company has planned for its U.S. competition. The Grand S particularly garnered attention for its ultra-thin form factor. However, even the most feature-rich new smartphone, boasting a super-slim footprint and the latest Android operating system, will still face a daunting challenge from the market’s existing smartphone leaders — Apple and Samsung. Recent figures compiled by comScore indicate that Apple has the smartphone lead in the U.S. at 40%, ahead of Samsung at 24%, HTC at 8%, Motorola with nearly 7% and LG at 6.8%. Muscling into that tight race will be difficult, but ZTE does have some experience competing in a crowded market. A recent IDC report claims that ZTE is the No. 4 smartphone manufacturer in China with almost 9% of the market, putting it behind Samsung, the No. 1 vendor in the country, as well as Lenovo and Coolpad. Customers will be able to pre-order both the Grand S and Nubia 5 as of Oct. 5, and devices will ship Oct. 16. Nevertheless, the company appears to be committed to penetrating the market, although it remains to be seen whether or not its ambition will translate into a connection with mainstream U.S. consumers. Correction: This article originally said the ZTE devices won’t ship until 2014, but a ZTE rep told us after publication that they’ll actually be available this month. With a 4.7-inch display, Huawei’s flagship feels small among the other phones on this list. Still, two years ago it would’ve been the biggest smartphone around, and it’s definitely a handful. Even ZTE’s smaller phone (compared to the Grand Memo) is actually a very large device, with a 5-inch, 1080p screen. Remember when the 1080p resolution was reserved for 24-inch LCD monitors? LG has gone all-in on the huge smartphone craze, launching a flagship phone with a 5.5 inch screen. Sure, it’s light and thin, but the screen is still really, really big. Even its smaller brother, the Optimus G, with a 4.7-inch screen, is quite a big device. HTC One rocks the same screen size as the Huawei Ascend P2 and the LG Optimus G — 4.7-inches. It seems that size is the new standard for “regular” size phones, though we can still remember how big the HTC One X (which also has a 4.7-inch screen) felt when we first tried it out. Yes, the Fonepad has been marketed as a tablet, but it can make phone calls. And when you consider that some smartphones on this list are nearing 6-inches, well, why not go for broke and get yourself a 7-inch tabletphone? Even without its tablet counterpart, Asus’ Padfone Infinity is a fairly large phone. With a 5-inch, 1080p screen, it can hold its own against other gargantuan phones on this list. ZTE’s Grand Memo rocks a 5.7-inch screen, which puts it deeply in the phablet territory. If you have small hands, you probably won’t love this phone, but for those with bigger paws, the extra screen real estate might be worth it. NEC’s Medias W is a very unique beast: fold it, and you have a fairly standard 3.5-inch smartphone. Open it up, and it becomes a dual-screen smartphone with nearly tablet-like screen real estate, and the two screens work perfectly in unison.